Foster carers and their children can continue to enjoy short breaks in the Cotswold Water Park thanks to Swindon Borough Council’s fostering service. The Council has bought a caravan in Hoburne Cotswold which will be available all-year round for foster carers and their children to go on holiday. The holidays will be offered for a week at a time or in four-night stays to allow for weekend and shorter breaks. The spacious caravan, which cost just over £80,000 and is only a year old, features three bedrooms, one double and two twin beds, a furnished lounge and a kitchen with a dishwasher and washing machine. 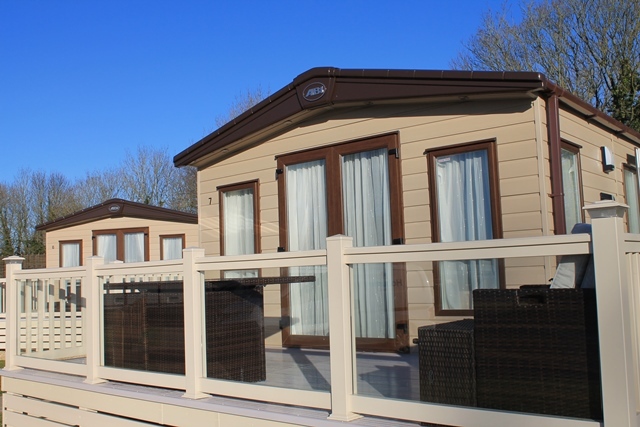 The caravan is situated around green space and features its own decking space outside and a separate space to park. Foster carers and children can enjoy the Hoburne Cotswold amenities, including a restaurant, shop, club, archery range, swimming pools and seasonal events. All these activities, in conjunction with a week’s stay in the caravan can be purchased by foster carers for a discounted price. The caravan will be officially unveiled to foster carers tomorrow (19 Jan) by Swindon Borough Council’s Cabinet Member for Children’s Services and School Attainment and chair of the Council’s Corporate Parenting Board, Cllr Fionuala Foley. Cllr Foley will be joined at the unveiling by the Council’s Director of Children’s Services, David Haley. Cllr Foley said: “I am thrilled that the Council has been able to buy this new caravan because it will continue to provide a peaceful and tranquil setting for our foster families when they need a break, allowing them to spend some real quality time with their children. “David Haley and I had the pleasure of meeting some of the young people who are placed with foster families at the Corporate Parenting Board and they spoke so well about how the caravan gives them the chance to spend time and have a sleep over with their siblings who maybe don’t live in the same foster placement. “I promised them I would do my best to secure this caravan for them and I’m so pleased we have managed to deliver it. “The fact the caravan is located so close to Swindon in the Cotswold Water Park makes it an ideal location for our families and I know that they are delighted that the caravan has been replaced and the provision will continue.